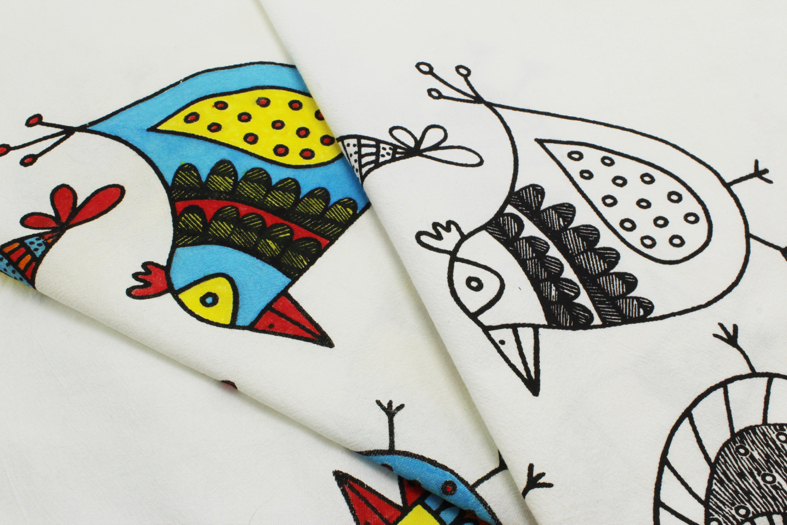 Naykii’s “Birds” tea towel is happy addition to any kitchen! 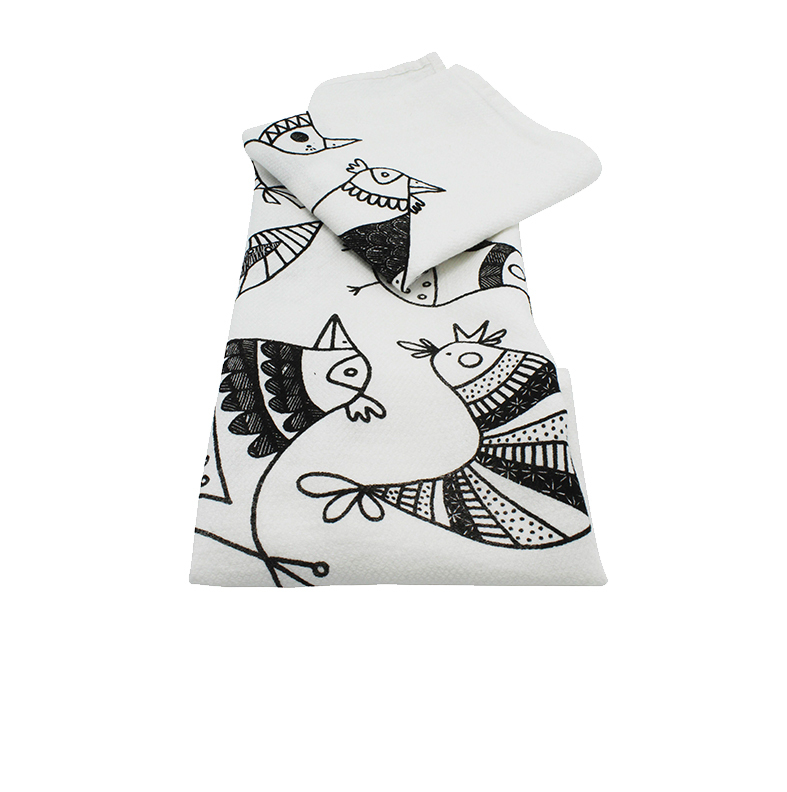 The original illustrations feature collaged sections from Naykii’s relief prints to make each bird extra special. 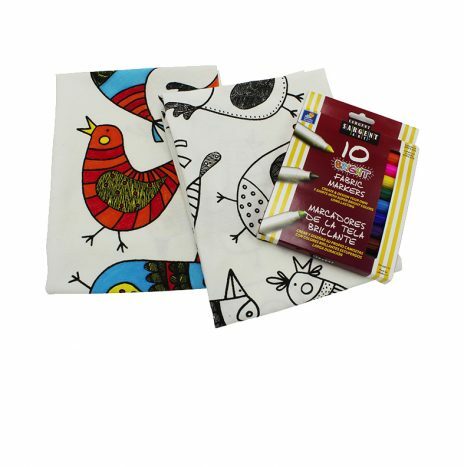 The “Birds” tea towel is available in birdseye cotton (white) or flour sack cotton (cream) – both equally awesome in the kitchen. 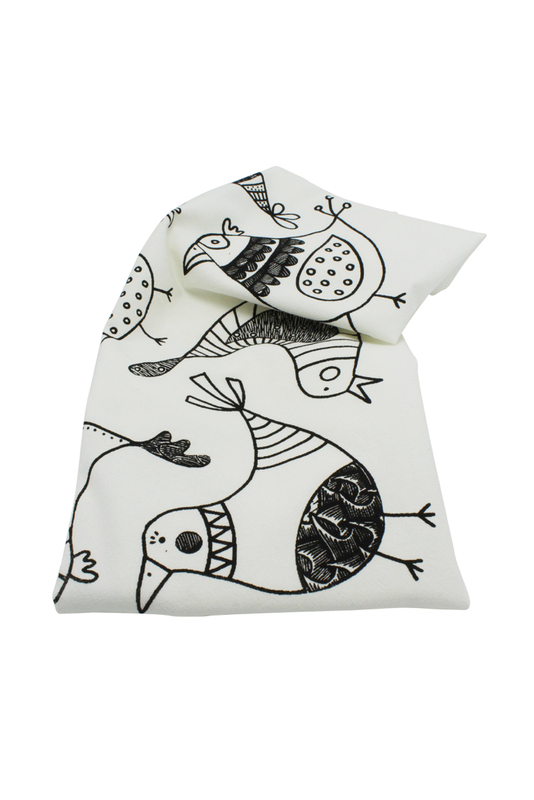 The birdseye tea towel is made from 100% birdseye cotton which is known for its softness, absorbency and durability. It is lint free which makes it a great option for drying dishes and glasses. 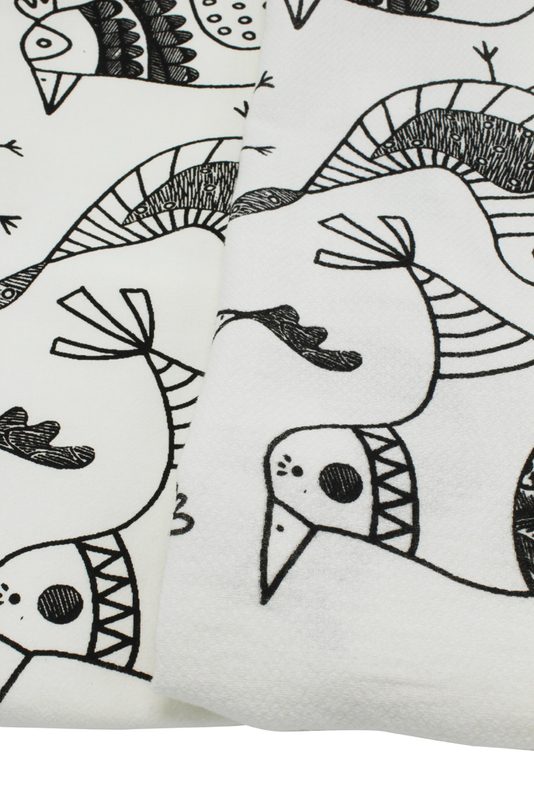 Each towel measures approximately 26″ x 26″ with the design (12″ x 17.5″) screen printed in the center of the towel. 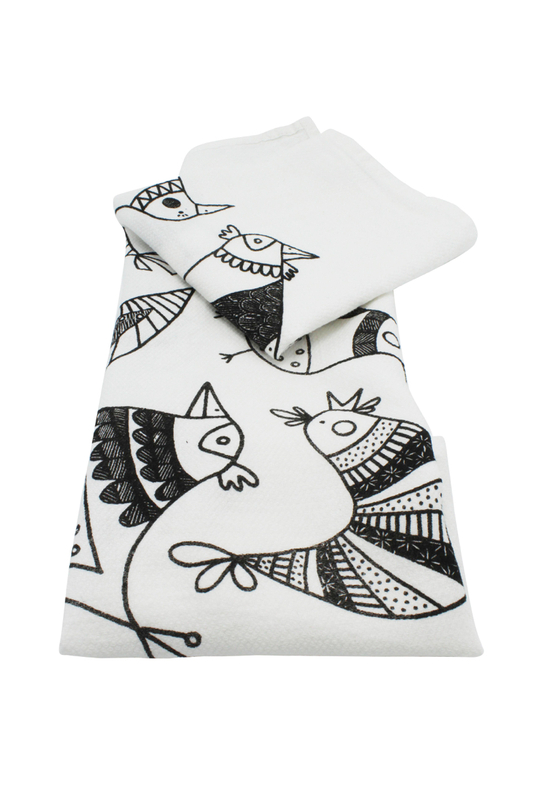 The flour sack towels are made from 100% deluxe cotton fabric. They are strong, lint free and absorbent and will wear well. 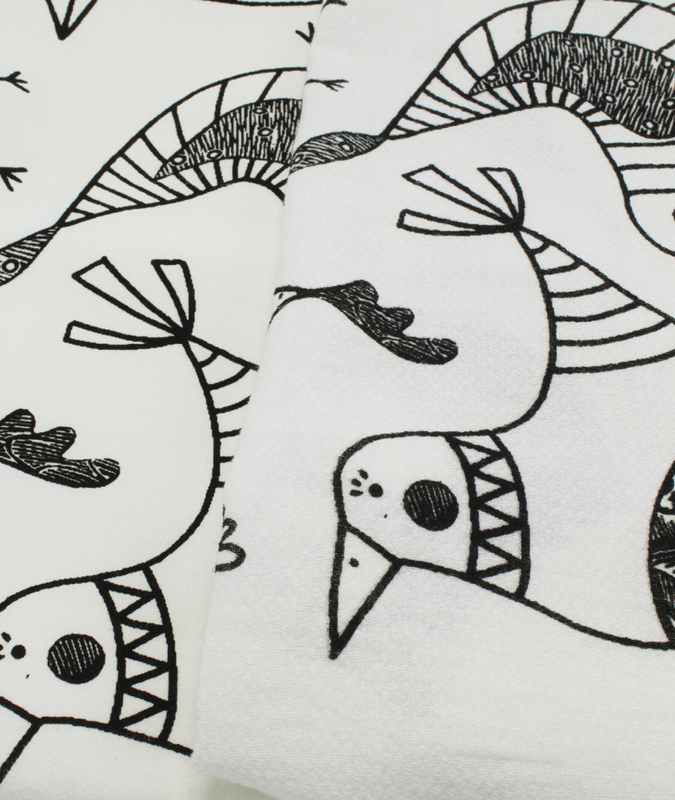 Each towel measures approximately 29″ x 29″ with the design (12″ x 17.5″) screen printed in the center of the towel. 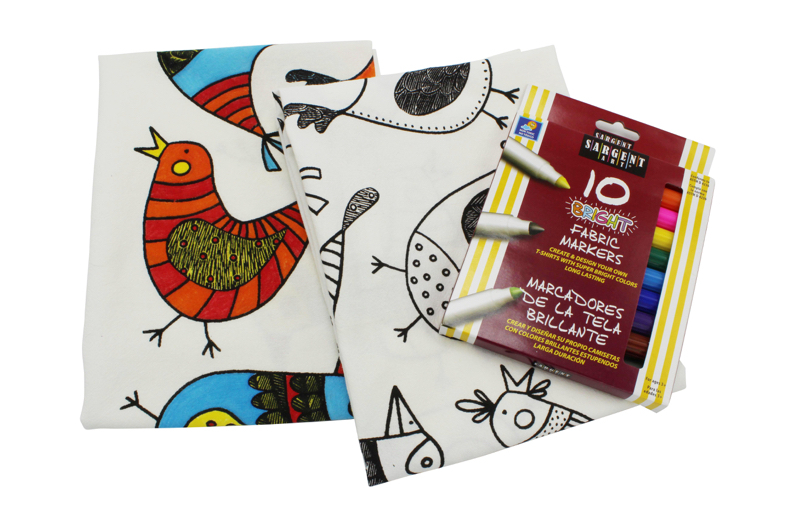 The birdseye fabric has a bit of texture and is softer whilst the flour sack towels are smooth and weightier. 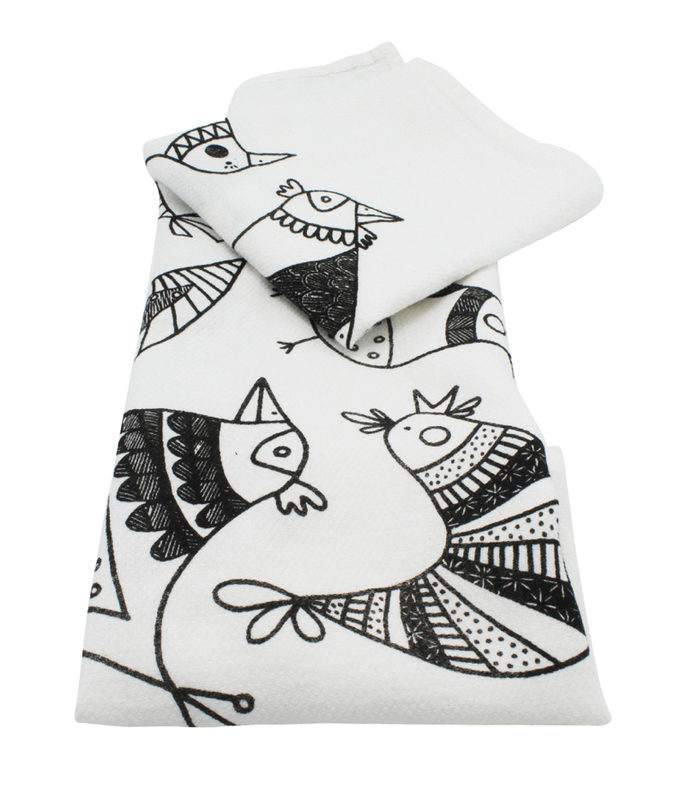 They are both wonderful towels – it really is a matter of personal preference! 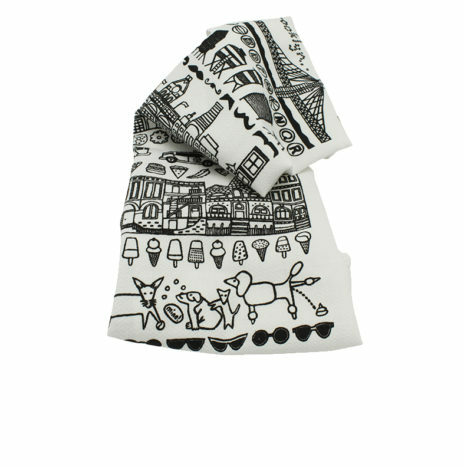 The design is printed with black, eco-friendly water based ink. Warm wash and dry on low. Iron on reverse. 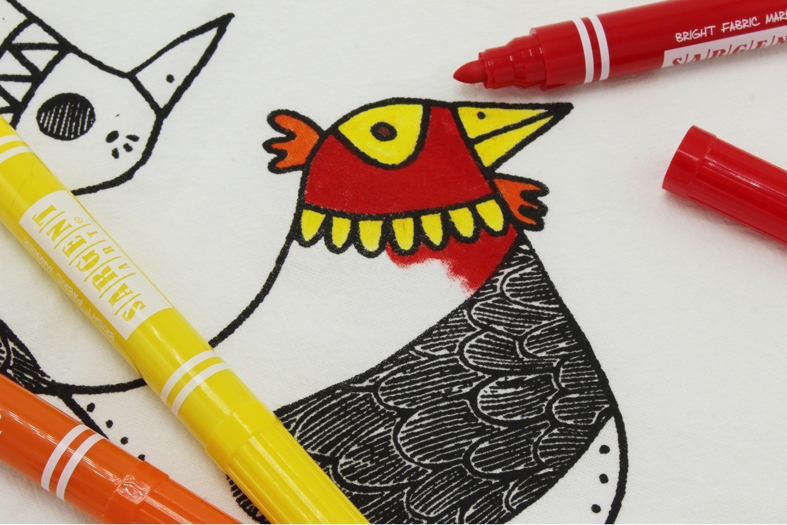 Please note: The birdseye towels are not suitable for coloring with fabric markers. * Printed colors may vary slightly from your screen. 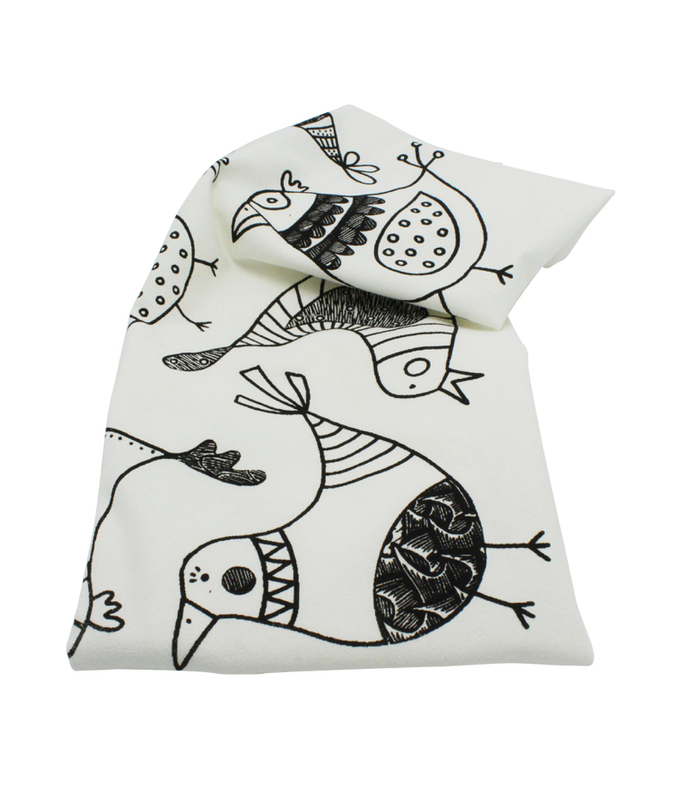 * Each towel is printed by hand and may have slight variations. 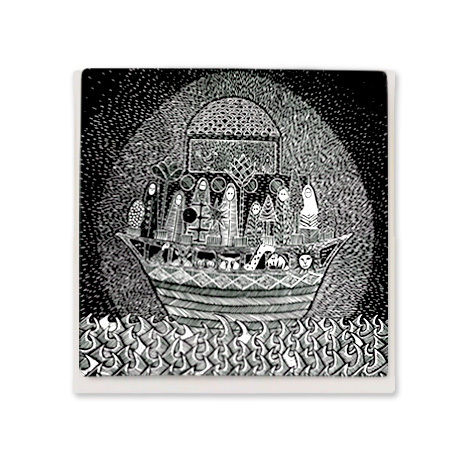 Need a card with your gift? 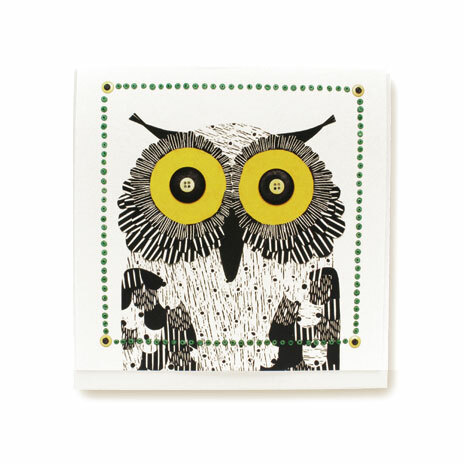 Naykii has a whole range of greeting cards!